Al-Qa’im, Iraq (17:32 GMT)— Sources confirmed this morning that local bad kid and well-known bully Ahmed Gabir has been appointed to lead in the building of a Sandcastle at the Al-Qa’im Suburban Municipal Park by the National Interim Sandcastle Authority (NISA). The 9-year old minister was selected from a pool of ten candidates, all of whom had been previously appointed to build sandcastles and Lego houses by the now-defunct Supreme Sandcastle Authority (SSA). Citing “sandcastle techniques detrimental to freedom” and “undermining the Authority of NISA” as reasons for their actions, NISA has decided to indefinitely detain the nine boys not selected for the project. 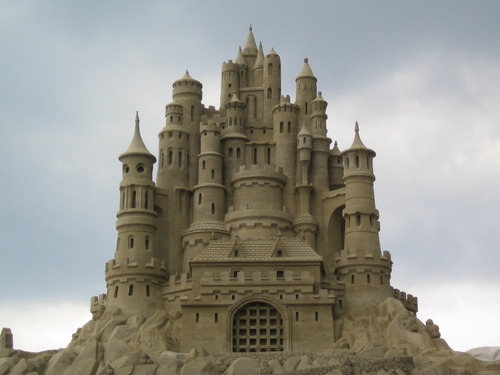 Gabir will head up a 12-person committee responsible for the design, construction, and maintenance of the future Sandcastle.